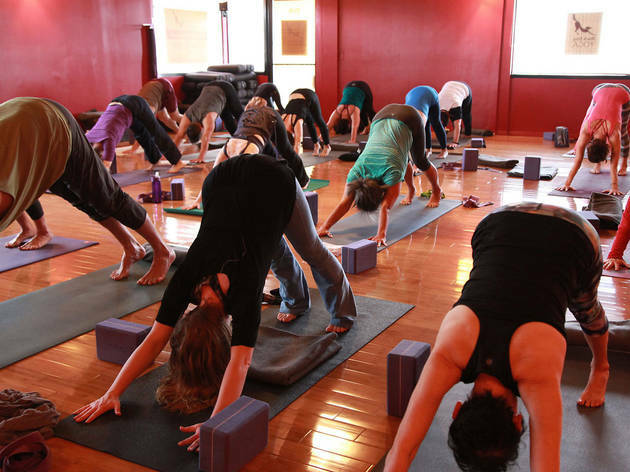 Looking for the city's best yoga? Los Angeles has way too many options, so start with these top spots. A regular yoga practice is a time-tested cure for taming big city stress—be it from work, traffic, whatever—as well as a great way to stay in shape. Working out at one of the city's best gyms will sculpt your body, but yoga helps soothe the mind as well. Not sure where to find the best yoga? Los Angeles has a huge amount of studios, plus free and by donation yoga options, and even classes with adoptable cats! It can be hard to know where to begin, so we've put together this list of the 11 best yoga classes across Los Angeles to help you on your way to a healthy, healing practice that's perfect for you. Y7 turns yoga on its head and makes it spin in this house of hip hop. Creative, challenging flows are set to bass thumpin’ beats in an infrared heated room. It’s kept dark but classes here are lit... candlelit, that is, but sans mirrors, making it less ideal for newbies to the yoga game. There are no showers, but there’s a station for filtered water, and mats ($2) and towels ($3) for rent if you forget your own. 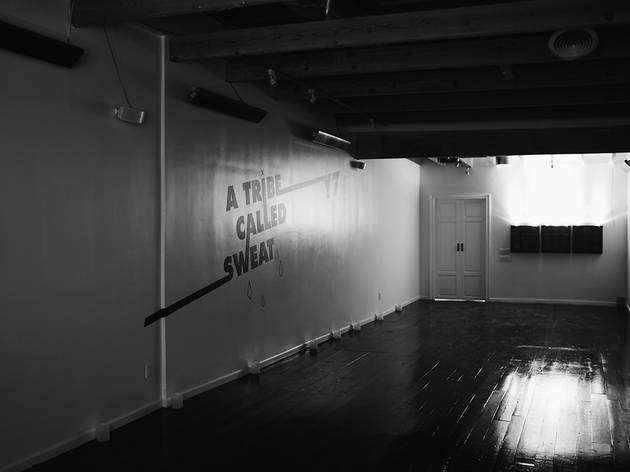 Don’t forget a sweaty post-workout selfie with the inspirational wall quote on your way out. Have five minutes to spare? Walk to Melrose Place for a jolt at the O.G. Alfred’s because hey, you #earnedit. Unsurprisingly, the lack of parking here shows no chill, so arrive early for metered spots, or score free parking on Harper and Sweetzer avenues, just be sure to triple check posted signs. 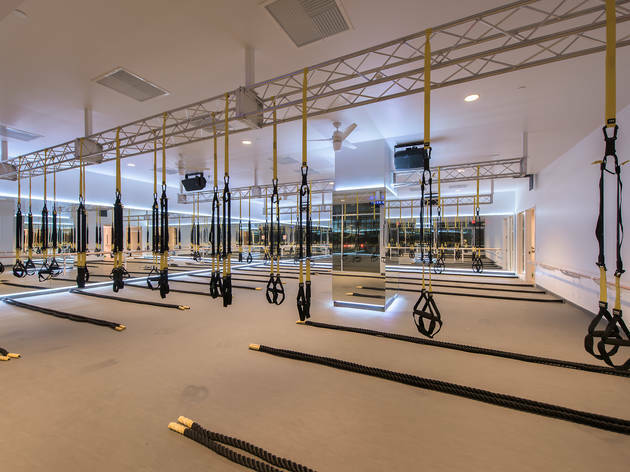 Sleek, clean and modern up the ying yang, it’s no wonder some of the best instructors in town (like the cult favorite Colin Kim) teach here. The spot features soaring ceilings and color therapy lighting throughout. Three expansive heated studios are outfitted with slip resistant, antibacterial floors that serve as the perfect stage for barefoot culture. Spa-like restrooms have self-coding lockers and showers, making it easy to flow from studio to work. Yoga is the bread and butter here, but variety is the spice of life, so options like boot camp and barre are also available, offering up the most bang for your buck under one roof. Filtered water fountains and kombucha on tap keep yogis hydrated, and mat and towel rentals are available, as is on-site parking ($2 for 90 minutes with validation). Runyon Canyon is 10 minutes away, so why not take a hike after class? Beloved for its authentic, friendly community, this is truly a beachside nest, hidden up a stairway through a back alley off a busy boulevard. The space is intimate yet uncrowded and splashed in vibrant color. All levels are welcomed with open arms by high-vibe instructors like Jessica Corbin. Mats, props, towels and purified water are free, but if you can’t walk or bike, plan to come early. Finding parking on mornings and weekday nights is manageable, but allow more time on weekends. This spot is steps from the beach and a brisk swim in the ocean awaits if you’re so inclined. Otherwise, Cow’s End Cafe is right next door with a menu full of healthy smoothies that hit the spot. Walking into the Raven is like getting ushered away from the city into a Bali-like respite with wood floors, vaulted ceilings, natural light and fresh flowers adorning the space. There’s even a chandelier. Owner and instructor Tony Giuliano has a huge following and is known for his playful yet intuitive spirit and the kind of guidance required to progress yogis beyond their expectations; here you'll learn to safely execute challenging arm balances, handstands and splits. This is where beginners and advanced alike go to be part of an inclusive community, led by seasoned instructors deeply rooted in traditional practice, and some offering a contemporary spin. Mats are available for rent ($1) and filtered water for refilling reusables. The studio is adjacent to the Raven Spa, a convenient reason to indulge in some vacation-inspired pampering after class. Free and metered street parking is manageable. Student on a budget? A current student ID gets you on the mat for $10. From the team behind the celebrated Wanderlust festivals, this community hub in Hollywood is where experts of all disciplines invite and inspire its members to live with intention. A wide array of classes feature various disciplines, levels and styles of yoga and meditation, and special events and workshops, like Alchemy Sound Bath Meditation. Elemental interior design details made of wood and metal are seen throughout this multi-level destination. Downstairs is a relaxing patio adjacent to the cafe, offering a full menu of nourishing noshes. "The Greatest Place" is the largest studio, and it lives up to its name. It has exposed brick walls, post and beam ceilings, and comes fully equipped with a concert lighting and sound system. Donovan Vriens McGrath leads Deep House Yoga at 6:30pm on Sundays; his classes are coveted for a sweaty, soulful twist to cap the weekend off. Upstairs is where the heated studio is located, as is a meditation room behind sliding wooden doors. The library lounge is here as well, but it and the rooftop are members only. Showers, filtered water stations, yoga mats, and all the props you need are provided. Valet parking is $3 with validation, otherwise metered street spots are your only option. A group of five to 10 people on paddleboards line up in the middle of the bright, breezy Marina and sink into Downward Dog, wobbling slightly as they find their sea legs. This is one of LA’s latest yoga innovations, where practitioners trade a yoga mat for a 10-foot board. Ready to do Warrior I while seagulls squawk overhead? YOGAqua founder Sarah Tiefenthaler, who started teaching SUP yoga two years ago (making her one of the first teachers in the country), leads the sessions in Marina Del Rey. Show up in a swimsuit, wetsuit or yoga gear that can get wet—yes, you might fall off the board!—and pick up a rental board, included in the class fee. After 15 minutes of paddling instruction, you’re ready to attempt a series of asanas on the water. Don’t worry about the wobble: The challenge of aligning yourself perfectly on a floating board only adds balance to your in-studio practice. 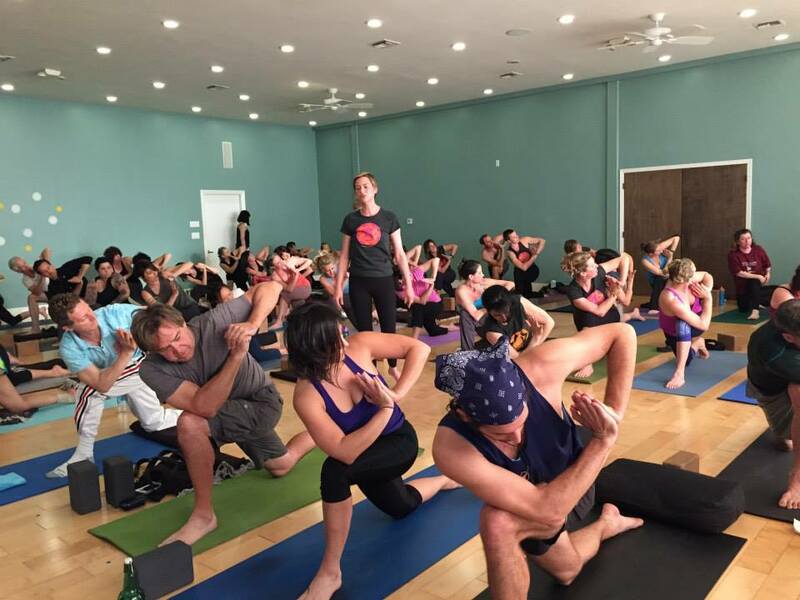 Classes are also offered at YOGAqua's second location in Newport Beach (3300 Via Lido). This is the oldest and largest yoga studio in the SGV, but it shines brightest through service to the community. First-time students get three free classes (valid for 10 days); 10% discounts for students and seniors, and half-price community classes throughout the week. 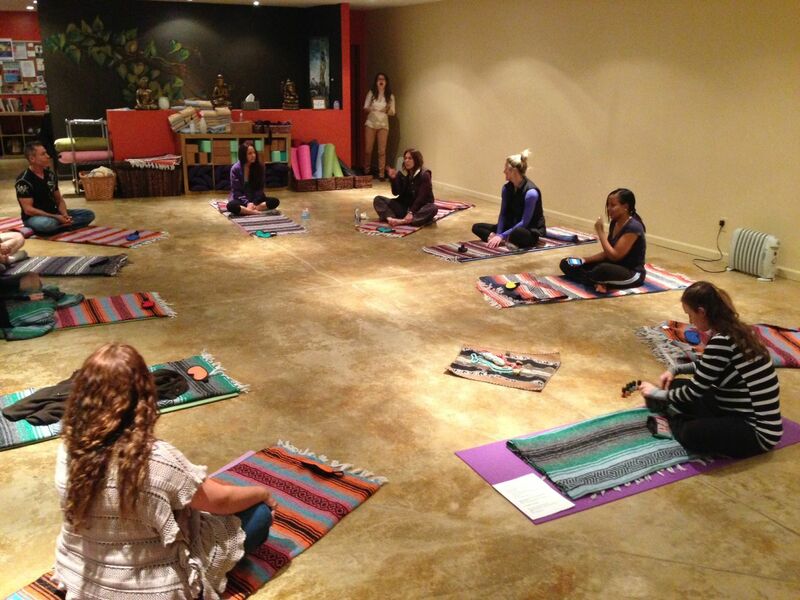 The spot offers a unique variety of classes and workshops, with everything from yoga for expectant and new mothers to kids' programs. 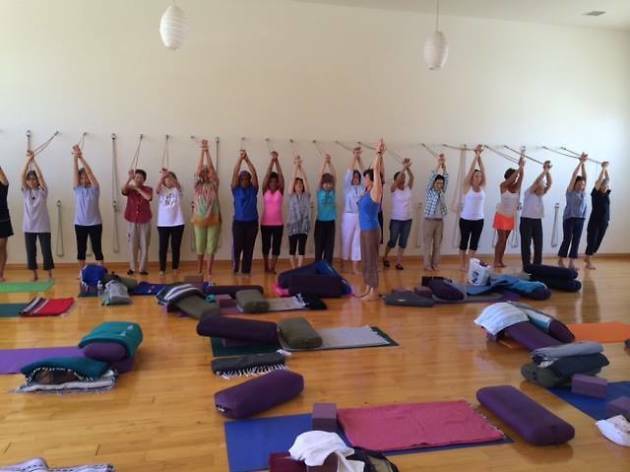 It's also one of the few studios in the L.A. area with Iyengar rope walls. Therapeutic yoga is a special offering, adapted to benefit those living with challenging conditions like Multiple Sclerosis; in addition, yoga for cancer and HIV/AIDS patients are offered free. Expect a warm reception in a bright, homey environment. Mat rentals for $2; enjoy complimentary purified water and warm tea after class. Park free at off-site parking lots with a pass (via website download); otherwise, allow extra time for street spots. Egos are left at the door at this unpretentious Valley gem. It’s where you’ll find a diverse community filled with people that won’t judge if you roll right out of bed into class. 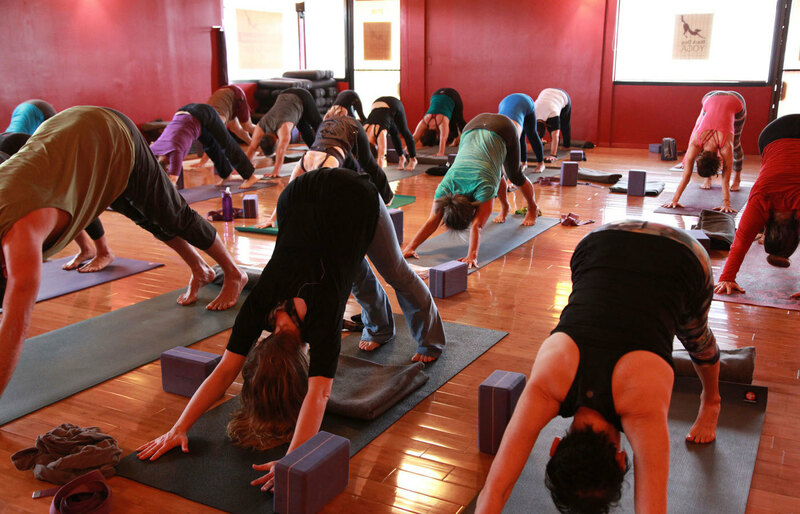 More than 80 classes a week, from traditional basics to powerful advanced are held in four vibrantly hued asana rooms. Monthly specialties like Vino and Vinyasa feature live music and a place to make friends. They walk the walk on giving back; donation yoga led by training graduates benefits NKLA, and 11th Step is a format that integrates 12 steps of AA into the practice. The military gets love too; active duty and vets flow for free. Stressed at work? Pop in for a $10 lunch flow; see schedule for times. Mats, tea and WiFi are free. The outside hall bathroom is a minor con. Parking (on-site/street) is easy for Ventura Boulevard standards. 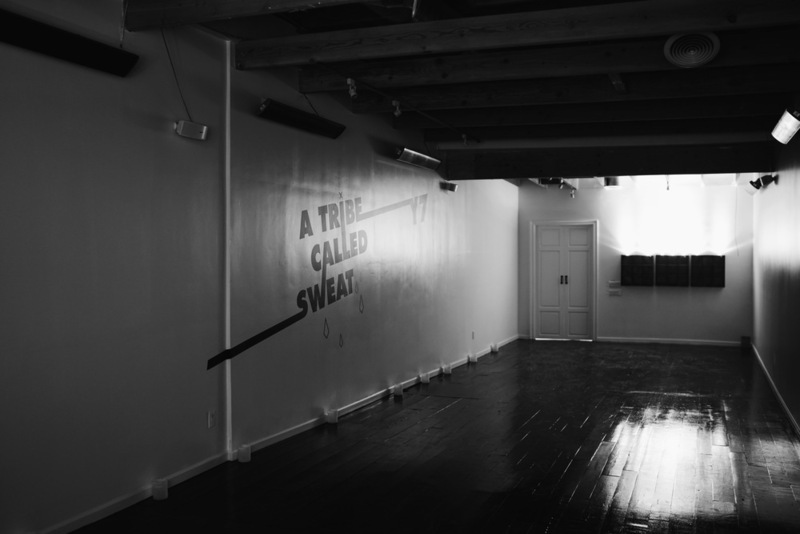 No front desk, a humble, clean studio and yoga for just $10 (cash, check or square cash) at the door is a dream come true on the West side. 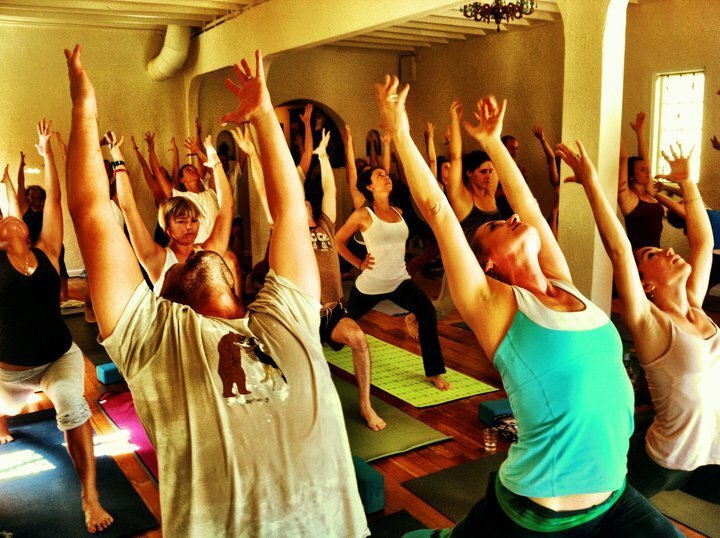 It’s Santa Monica’s yoga gem for a legit and joyful place to practice. 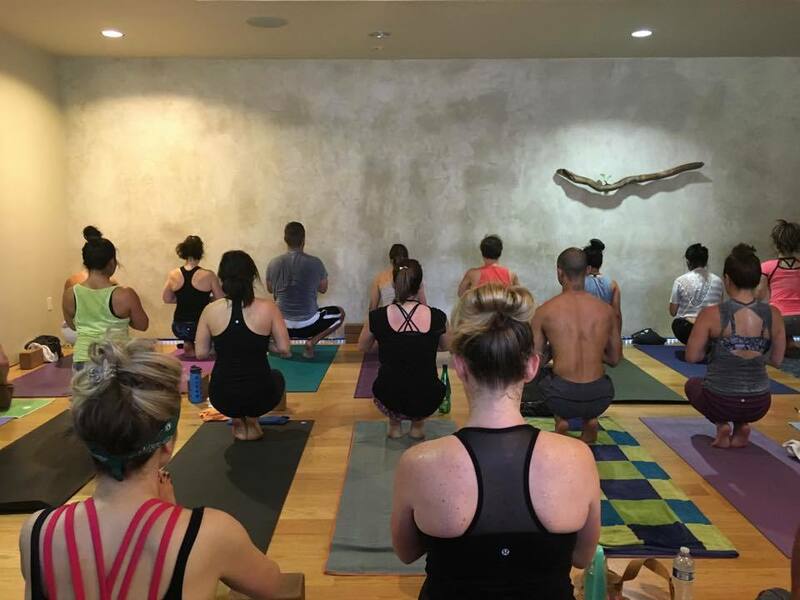 High caliber instructors, including owner/instructor Jay Co give their pricey counterparts a run for their money with Vinyasa style flows in two rooms welcoming all levels to join in; one room features a floating branch set against a stone-like wall reinforcing its simple beauty. They also host workshops, including sound baths the first Friday of each month, where vibrational instruments like Himalayan singing bowls bathe participants in a healing experience. An adjacent structure makes for convenient parking for $2 with validation (free after 6pm and weekends). 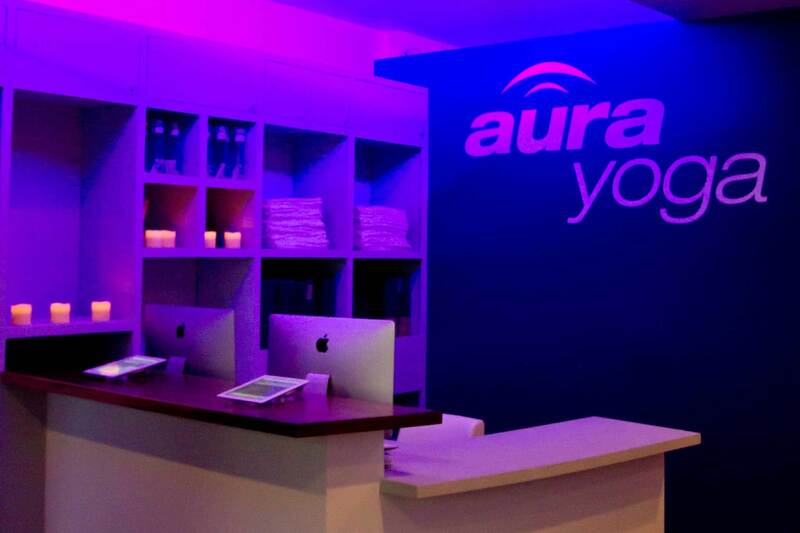 From the creators of Aura Cycle comes Aura Yoga. If there’s yoga in far off galaxies, this is what it must be like. The circular ceiling is reminiscent of a glowing UFO, its LED lights flooding the space with Instagram worthy shifting colors. The room is slightly heated, and instructors bring their own unique energy and soundtrack to class. 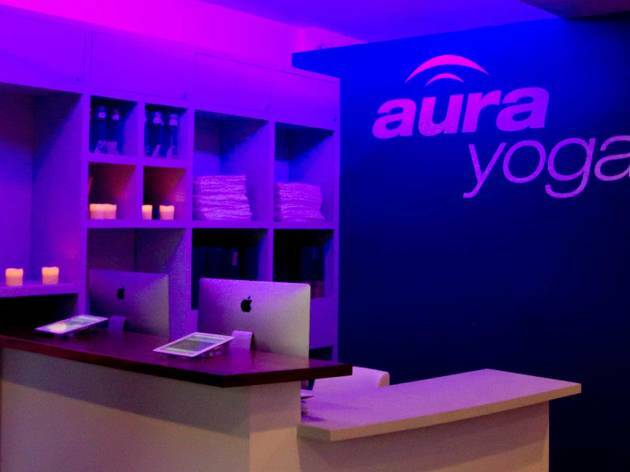 Purified water stations keep yogis hydrated, with mats ($3) and towels ($1) available for rent. Enter the free parking lot on the south side of Sunset Strip down Sunset Plaza Drive. Look for the rear door just under a stairwell for the entrance. Indulge in the rarity that is free parking in WeHo. Take a quick jaunt over to Earth Bar (in the Equinox center) and grab an acai bowl; head back to the parking lot and post up at the southernmost edge to enjoy city views below while you eat. 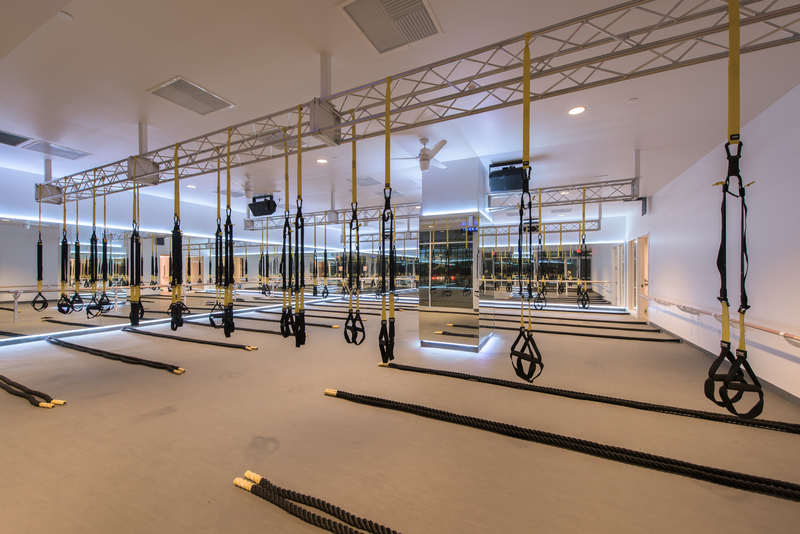 Where else can you sweat to the oldies in Richard Simmon's studio or do yoga on a paddleboard in the middle of the Marina?